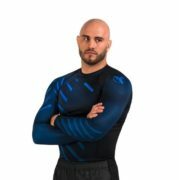 MMACanada.net Reviews Hayabusa OdorResist Rash Guard before it Hits the Market! 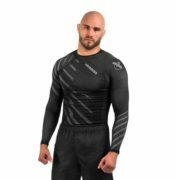 You are here: Home » News » MMACanada.net Reviews Hayabusa OdorResist Rash Guard before it Hits the Market! 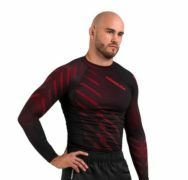 One of the leading brands in Mixed Martial Arts training and apparel has supplied MMACanada.net with it’s patented OdorResist Rashguards BEFORE it hits the retail market! Today, we talk about the Hayabusa OdorResist Rashguard! At first glance, when we opened the packaging, the material feels very luxurious compared to all of it’s competitors. The stitching, feel of the material and the fit of the garment on our body was beyond what we expected! 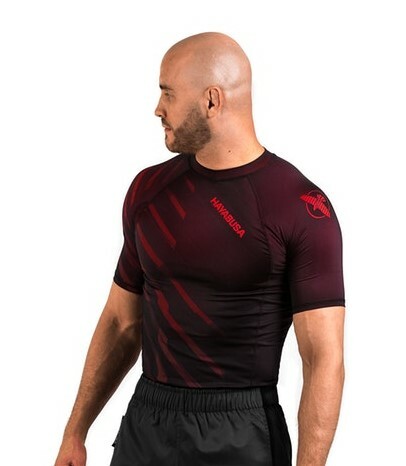 We went through a TOUGH BJJ class in Vaughan, Ontario and after going 12 rounds with different partners, the Rashguard wicked away all of the sweat, kept us dry and comfortible and low and behold… NO STINK! The material is infused with threading powered by the famous XT2, and is stink proof polyester/silver blend. You do NOT have to worry about stinking up the gym when you train in one of these! The Rashies are FULLY breathable, incorporates Muscle support with FULL range of motion. We feel that the competitors always have a little restriction in the range of motion, making your training a little more exhausting to say the least. What we really found interesting was the Silicon anti-slip waistband. This allowed the Rashie to stick to us during those intense situations and not lifting or coming up the belly. 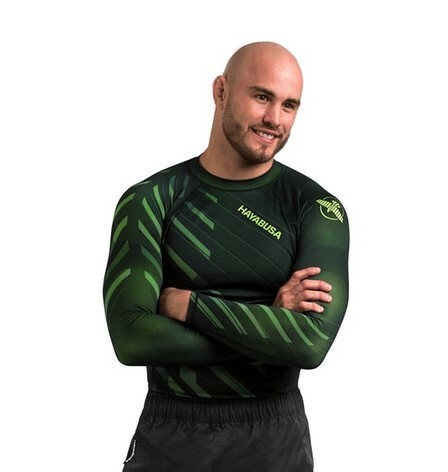 “The Hayabusa OdorResist rash guard is our best performing compression to date. It better protects your skin from abrasions, keeps your muscles engaged, it’s not see through and wicks away sweat, which helps to control your body’s temperature. We used the famous XT2® fabric and doubled the amount of silver from our previous generation. Silver is an old school tech that helps prevent sweat eating microbes from growing on it.”, states Hayabusa. In 2018, Hayabusa proudly marked a dozen years of making and improving rash guards. This rashie is designed to fit tight and yet not restrict your movement. The silicon grip at the bottom of the compression is incredibly effective at keeping it in place while rolling. The tight fit does more than make you feel like a superhero when you wear a Hayabusa Rash guard. It keeps the sweat away from your skin, helping you stay cooler and control your temperature. It also engages your muscles which supports your performance.You need a rash guard that can withstand training day in and day out. 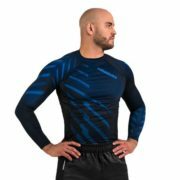 For this rash guard to last you even longer we made it out of the XT2® fabric which we call OdorResist. 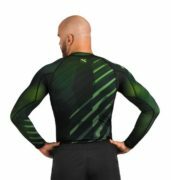 If you ever rolled before, with or without a gi, you know you need the rash guard to stay in place the whole time to not cause any problems and improve your overall experience. 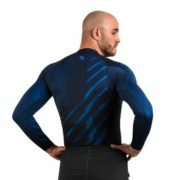 Just check out the review section of our Metaru Charged rash guard edition – you’ll see that people LOVE this feature. So go ahead, try and STINK this Rashie the best you can 🙂 WE DARE YOU! Head on over to the official Hayabusa Fight Wear website and stay tuned for the product release coming soon!